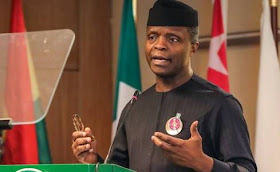 Vice President Yemi Osinbajo’s office has revealed details of mind-boggling corruption during the Goodluck Jonathan era and even called them a tip of the iceberg. "WE have read reports attributed to “a media office of former President Goodluck Jonathan”. It is clear from the foul language of the authors that the statement could not have come from the former President, but from the motley group of loud and rude characters whose brief seems to be to deny all and anything said against the former PDP government and to do so in the crassest possible language. Recently, the Minister Coordinating the economy in that administration has written a revealing book : Fighting Corruption is Dangerous: The Story Behind the Headlines. Who knows, perhaps her stories too are all lies!"